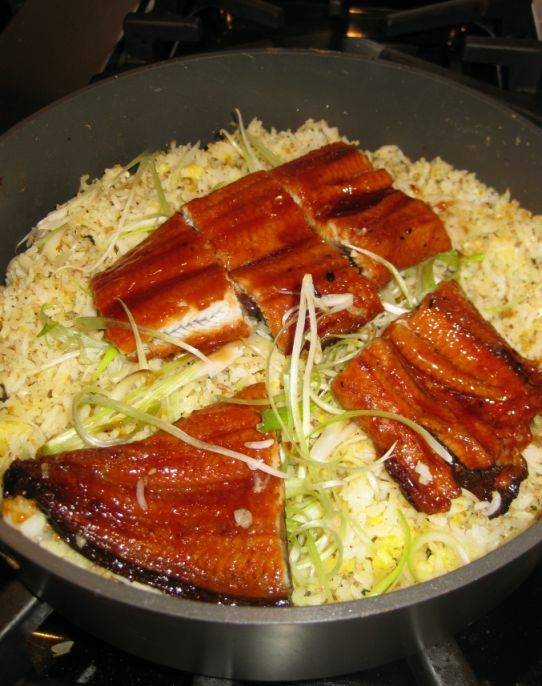 Unagi meshi is a Japanese fried rice dish with BBQ eel and scrambled egg. 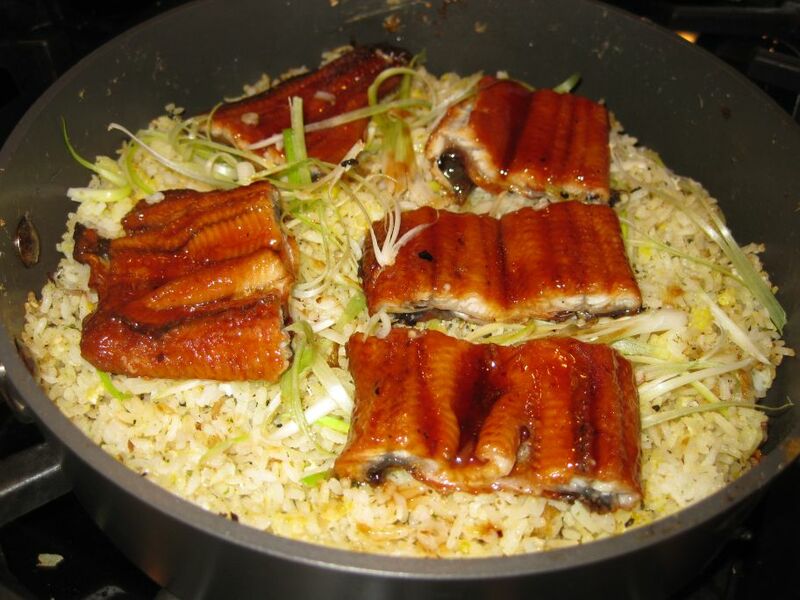 Japanese cuisine often has a variety of meshi (rice) dishes that are served with different types of meats but here the rice is paired with BBQ eel that is store bought. 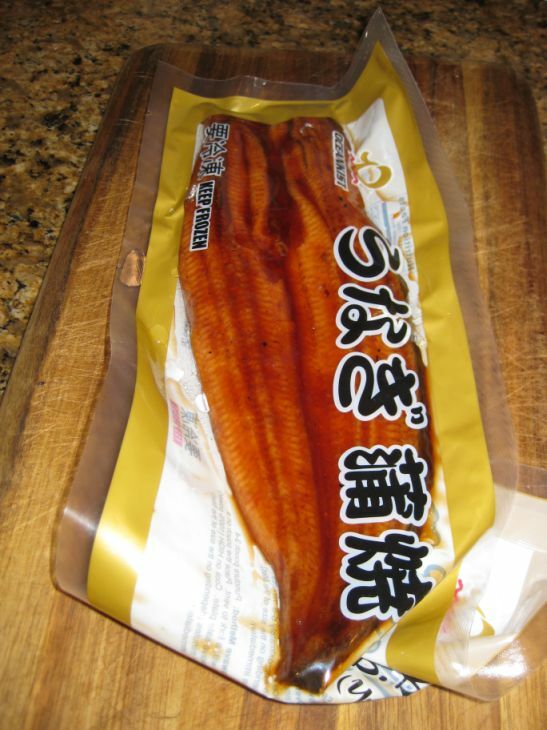 BBQ eel can be purchased in the frozen section of 99 Ranch market, an Asian Food Grocer. 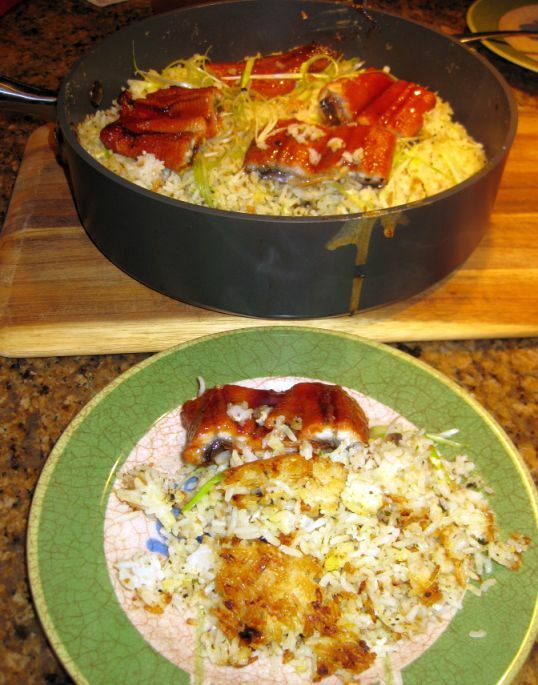 This dish is really easy to make but it does take a little time to make the rice crispy in the bottom of the pan and you cannot rush it. 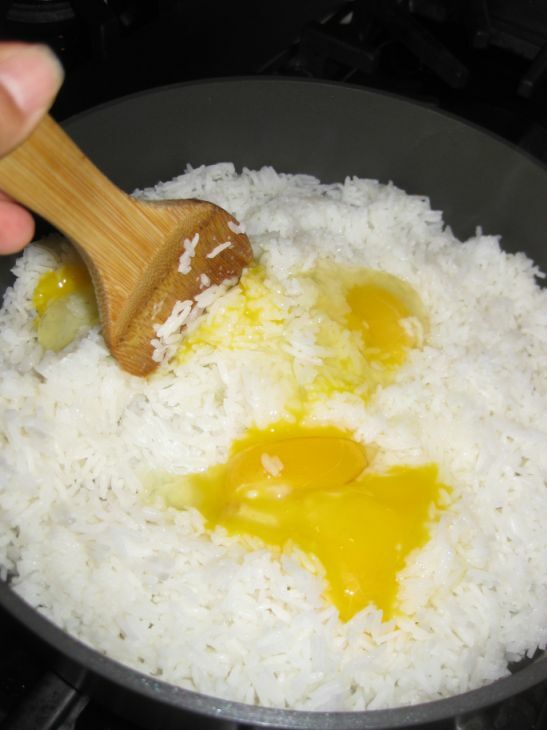 If you rush it then the rice will be burned so you want to leave the pan on a low heat and just let the rice just crispy with time (about 20 minutes). The wait is definitely worth it and I just love the crunch in every single bite. 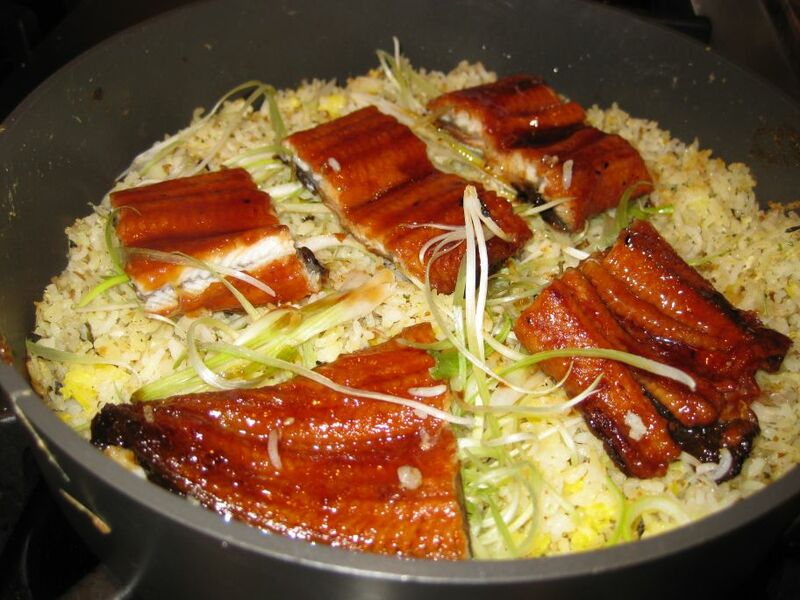 Sprinkle some green onion cut into long thinly strips on top of the pot. 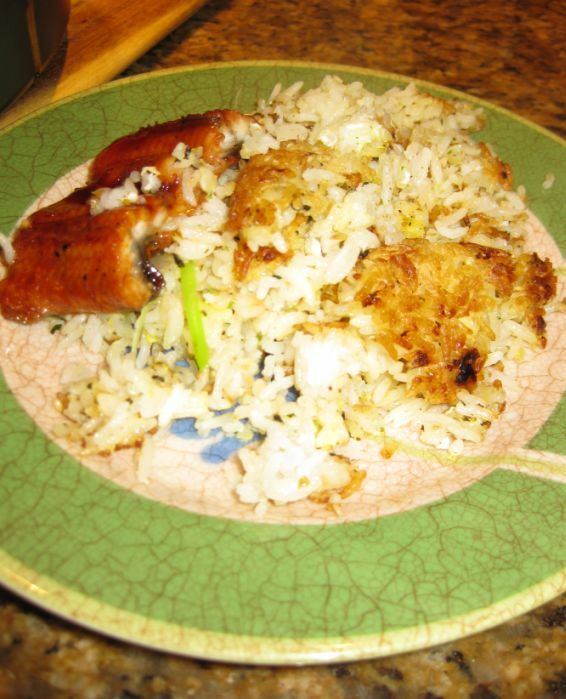 Here you can see on the plate that some of the rice is crispy (golden color). 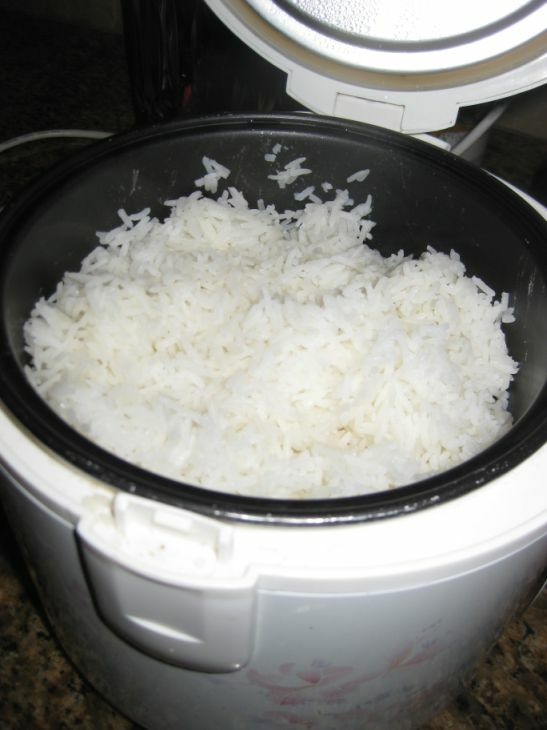 Cook your rice in a rice cooker accordingly. 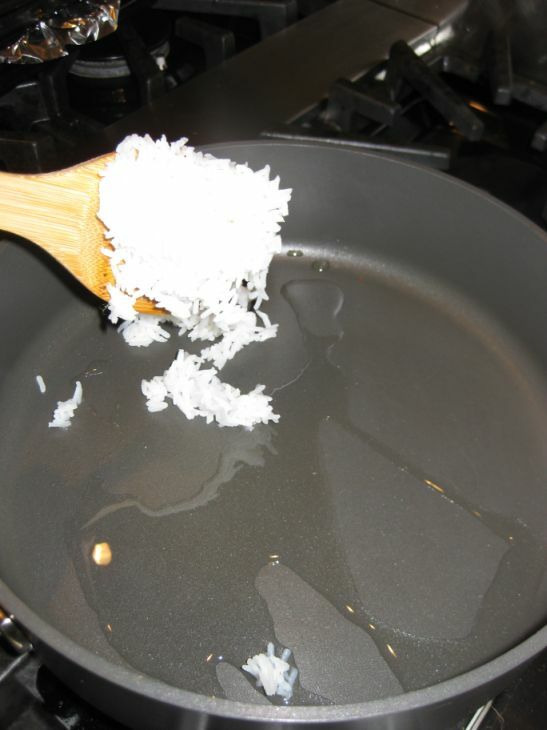 In a large skillet over medium heat, put a couple spoons of oil. 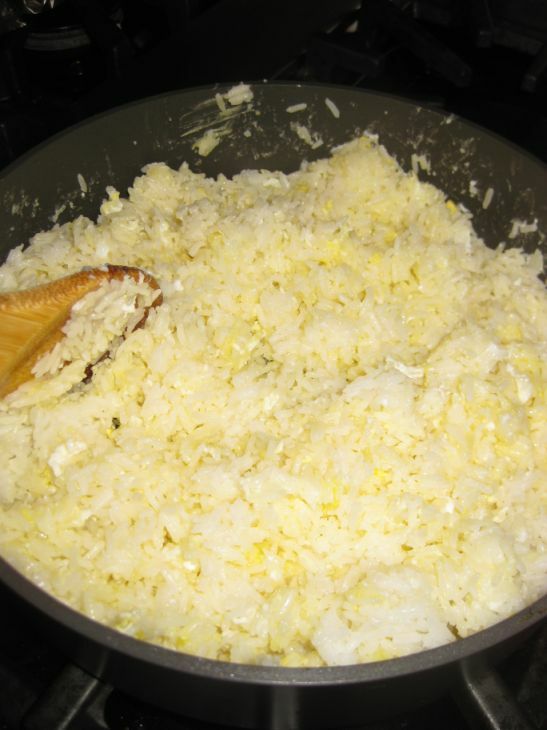 Once the oil is hot add the rice and stir. 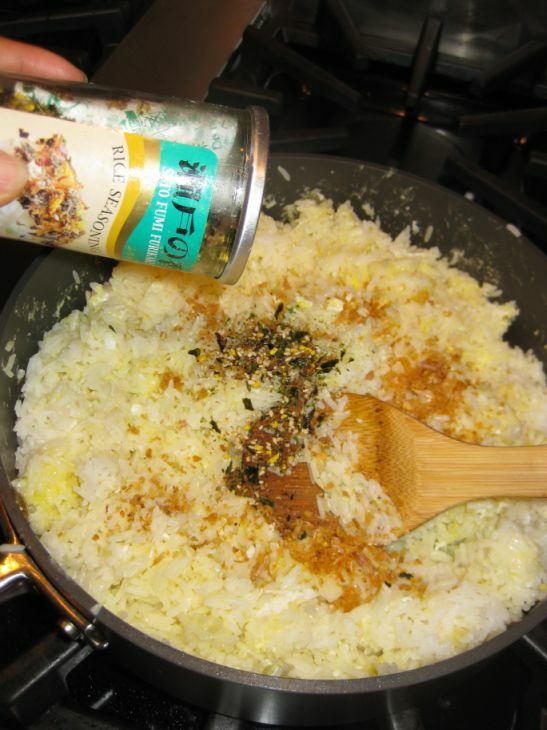 Add the rice seasoning according to taste and mix well. 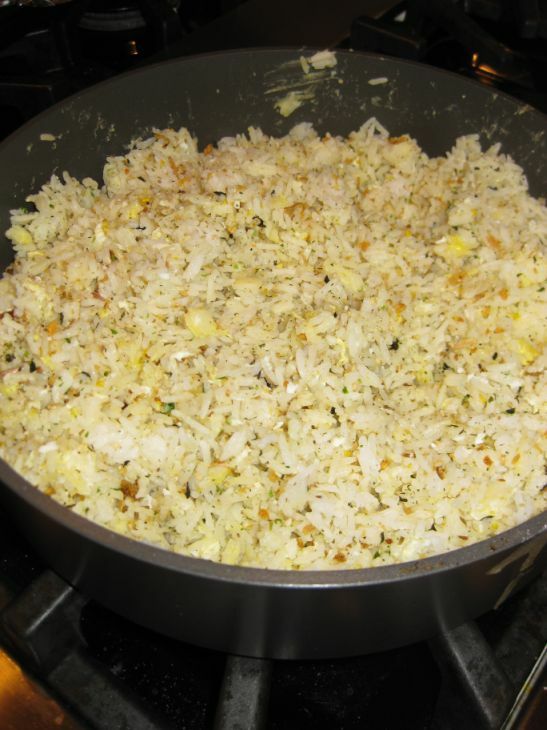 Leave the pan on low heat, do not stir and let the rice in the bottom of the pan crisp up, about 15 to 20 minutes. 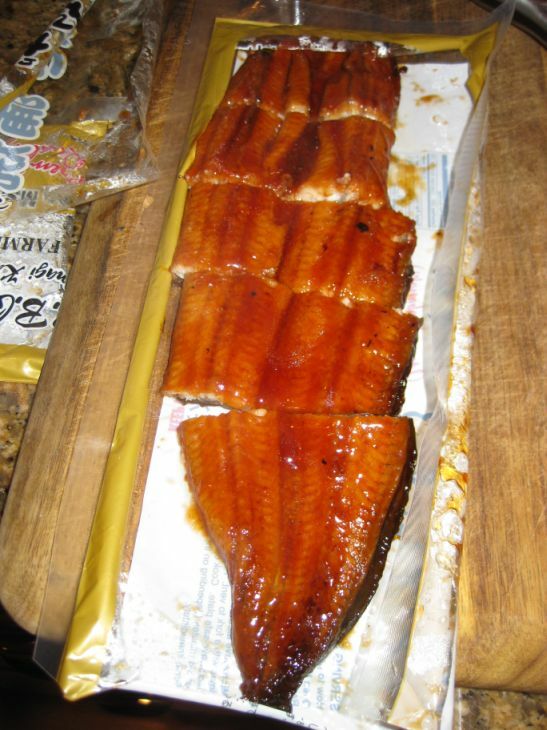 Once it is heated, remove the wrapper and cut the eel into smaller pieces. 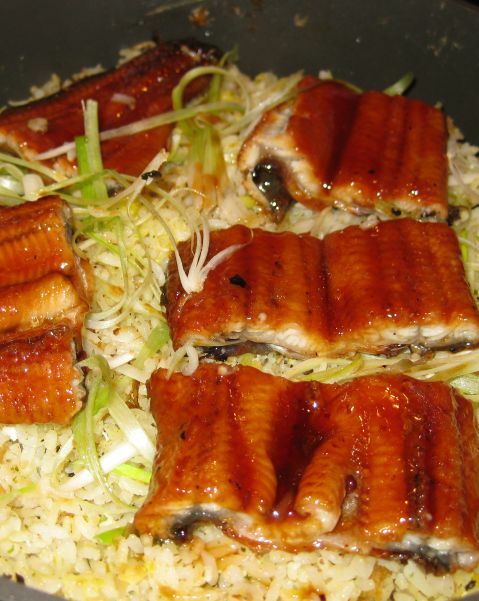 Put the eel pieces on top of the rice and add a few strands of green onions and it is ready to be served.